In Hong Kong, a corporation is not permitted to carry out regulated activities (as defined in Schedule 1 hereto) unless approval of the Securities and Futures Commission (the “SFC”) is obtained under section 116 of the Securities and Futures Ordinance (Cap. 157 of the laws of Hong Kong) (the “SFO”). A corporation which has obtained SFC approval to carry on one or more regulated activities is referred to in this note as a “licensed corporation”. As an ongoing obligation, when there is a change of certain specified information of a licensed corporation, either prior approval of the SFC is required to be obtained, or in other circumstances, notification to the SFC is required, depending on the type of information. The relevant changes which require prior approval or notification, and the relevant procedures in relation thereto are set out in the SFO, the Securities and Futures (Licensing and Registration) (Information) Rules (Cap 157S of the laws of Hong Kong) (the “Information Rules”) and the Licensing Information Booklet issued by the SFC in August 2003 (the “Booklet”). 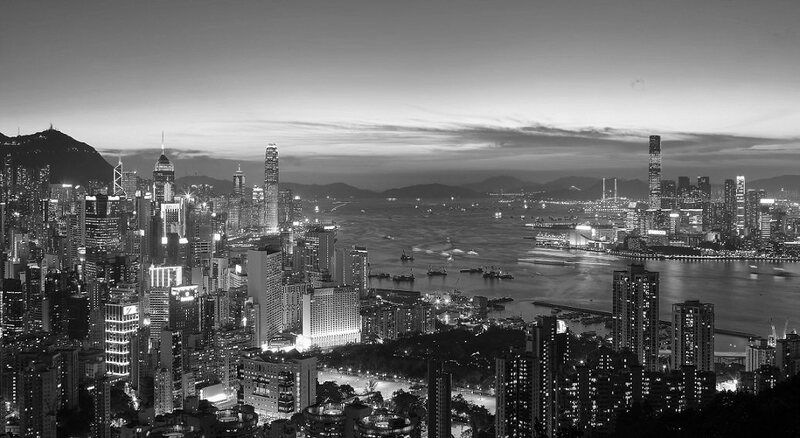 Prior approval of the SFC is required for any company or individual to become or continue to be (as the case may be) a substantial shareholder of a licensed corporation in Hong Kong. holds shares in any other corporation which entitles him, either alone or with his associates and either directly or indirectly, to control the exercise of 35% or more of the voting power at general meetings of that other corporation, or of a further corporation, where that other corporation is itself entitled, alone or with its associates and whether directly or indirectly, to control more than 10% of the voting power at general meetings of the first corporation. Pursuant to section 6(2) of Schedule 1 of the SFO, a person is regarded as being entitled to exercise or control the exercise of 35% or more of the voting power at general meetings of a corporation indirectly if he, either alone or with any of his/its associates, has an interest in shares in a further corporation which entitles him/it either alone or with any of his/its associates, to exercise or control the exercise of 35% or more of the voting power at general meetings of the further corporation which is itself entitled, either alone or with any of its associates, to exercise or control the exercise of 35% or more of the voting power at general meetings of the first mentioned corporation. Supplement 3 (Statement of Personal Information) for an individual applicant. A group chart depicting the related change in shareholding structure including the respective number of shares and percentage of shareholdings is required to be submitted with the application. The application fee of HK$3,000 is payable on a per application basis regardless of the number of substantial shareholders proposed. informing the SFC of any change in those particulars within 14 days after the change takes place. Any person who receives SFC approval as a substantial shareholder must therefore notify the SFC of the contact details referred to at (1) above and of any subsequent changes in such details no later than 14 days after the change. A person who applies to become or continue to be (as the case may be) a substantial shareholder of a licensed corporation must satisfy the SFC that he/it is fit and proper. where the person is an authorised financial institution, the institution and any director, chief executive, manager (as defined in section 2(1) of the Banking Ordinance (Cap. 155 of the laws of Hong Kong)) and executive officer of the institution. Accordingly, the application forms require the applicant (and in the case of a corporate substantial shareholder applicant, its directors) to provide information as to: (i) their financial status; (ii) any disciplinary actions to which they have been subject; (iii) any criminal offences with which they have been charged; and (iv) any orders for fraud or dishonesty etc. the state of affairs of any other business which the person carries on or proposes to carry on. Further guidance as to what constitutes “fit and proper” are set out in the “Fit and Proper Guidelines” issued by the SFC. The SFC will also refuse to approve an applicant as a substantial shareholder if it is not satisfied that the licensed corporation will remain a fit and proper person to be licensed if the application is approved (section 132(2) of the SFO). on summary conviction to a fine at level 6 and to imprisonment for 6 months, and to a further fine of HK$500 for every day during which the person continues to be such substantial shareholder without the approval of the SFC. where he subsequently became aware of such act or circumstances, that he applied to the SFC as soon as reasonably practicable and in any event within 3 business days after he became so aware, for approval to continue to be a substantial shareholder of the corporation. then, unless and until the SFC approves the person to continue to be a substantial shareholder of the corporation, the voting rights conferred by the shares concerned are not exercisable (section 131(4) of the SFO). on summary conviction to a fine at level 6 and to imprisonment for 6 months(section 131(5) of the SFO). could not have by the exercise of reasonable diligence known, that the voting right which he purportedly exercised is not exercisable. A licensed corporation in Hong Kong is required to appoint two responsible officers approved by the SFC for each type of regulated activity. For each regulated activity, there should be at least one responsible officer available at all times to supervise the business. The same individual may be appointed to be a responsible officer for more than one regulated activity provided that he is fit and proper to be so appointed and there is no conflict in the roles assumed. At least one of the responsible officers must be an executive director of the licensed corporation and all the executive directors must seek the approval of the SFC as responsible officers. Under section 126 of the SFO, a person who wishes to become a responsible officer of a licensed corporation, is required to apply to the SFC in the prescribed manner and pay the prescribed fee, which is currently HK$2,950 per regulated activity. For the relevant test of competence and qualifications required for an applicant to become a responsible officer, please refer to the “Note on Licensing Regime under the Securities and Futures Ordinance” issued by Charltons, the “Fit and Proper Guidelines” issued by the SFC and the “Guidelines on Competence” issued by the SFC. Supplement 10 (Duties and Experience of Responsible Officer). The application fee for approval to become a responsible officer is HK$2,950 per regulated activity. The application fee for approval to become a licensed representative and responsible officer is HK$1,790 per regulated activity (for approval as a licensed representative) and HK$2,950 per regulated activity (for approval as a responsible officer). Examples of other matters that require the prior approval of the SFC (non-exhaustive) are set out in Schedule 2 hereto.